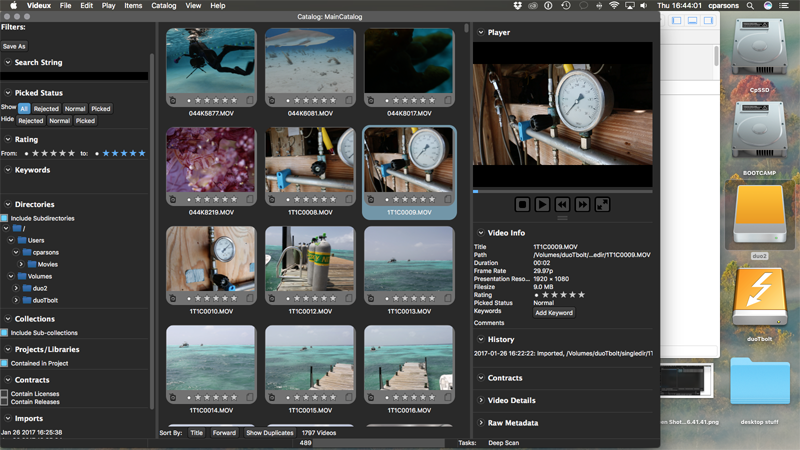 Videux is a new software package that wants to organise and archive all your video files. 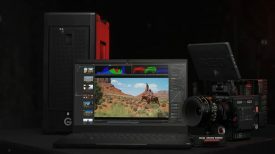 If you’ve ever had to fish out footage from an old edit you’ll know how time consuming it can be when you’re trying to remember when it was shot, what it was shot on and what format and framerate you might expect to find. The Videux interface is clean and intuitive. If you’ve ever used Adobe’s Lightroom for stills, Videux offers similar functionality for video files: you can ingest and catalogue your footage, assigning star ratings and keyword metadata to make sure it’s searchable (and crucially, findable) in the future. The software also integrates with NLE packages like Final Cut X and Adobe Premiere. 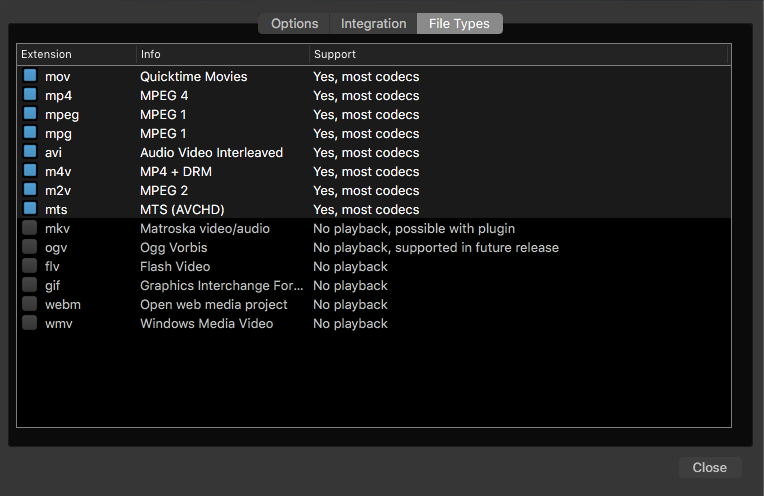 You can ingest footage in Videux, then take your organised files into the edit with keywords and other metadata intact. You can also take videos the other way and import rushes from your editing package’s project. And when used as an archive, once you’ve added the metadata you can search using text strings rather than trying to remember if that shot you wanted was MVI_9879.MOV or MVI_9879.MOV. I’ve had a brief play around with the trial and it’s a simple, intuitive interface. By default the program stores its catalogue file in the Movies folder of your Mac, although there is the option to change this by creating a new catalogue. Like Lightroom Videux doesn’t create duplicates of the video files so it’s not a backup solution: it’s just a tool for organising and helping you keep track of your videos. You do need to commit the time to establishing a convention for tagging your files though, and you need to be systematic in how you apply keyword tags. Videux creates its own thumbnails but not previews, so it needs the files it’s indexing to be online. If you eject media with files it’s expecting to see, Videux prompts you with a question mark warning sign – it’s obvious when files are offline. Reconnecting drives also automatically reconnects the media on them, which is a nice touch. Codec support is where Videux will either make sense for you or not. Videux picks up standard h.264 .mov files easily enough – I pointed Videux at my outputs folder and found with some horror that I’ve got 100-odd videos lying around there! There’s also the option to add videos directly from folders, FCPX libraries or Premiere Pro projects, and this is where things came a bit unstuck for me. 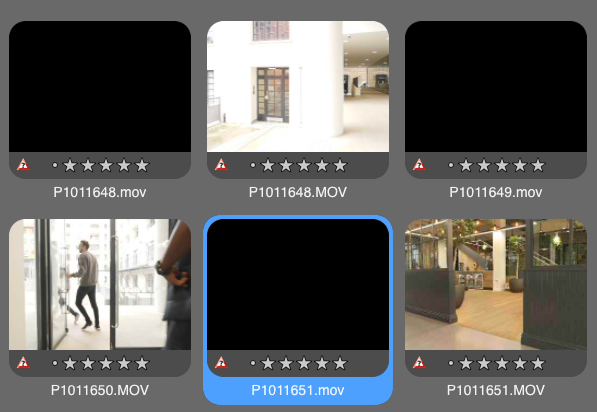 I pointed Videux at the FCP X library for a recent shoot, but it only picked out the videos that had been embedded in the library – not the rest of the rushes, which were being referenced from a separate drive. No problem you might think – but I tried to add the rushes from their separate folder and nothing came in. The material is all in .MXF format from a C300, so not an exotic codec by any stretch of the imagination, but a bit of a dealbreaker for me if the software can’t import it. 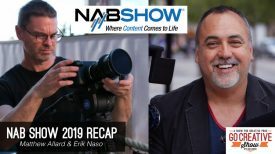 It did pick up material shot on a Panasonic GH5 in UHD 10-bit, but although the clips had thumbnails and reported frame size and other metadata correctly they weren’t playable. It’s possible this will change as the software matures – and other platforms have had issues with Panasonic’s implementation of LongGOP recording – but for now it’s not as useful a tool as it could be for certain cameras and codecs. I contacted the developers to ask if MXFs might be supported in the future, and to my surprise Chris from Videux replied almost immediately to say that it’s on the development roadmap. They hope to add MXF support (depending on the codec used) for Macs running macOS Sierra in a coming update. I think that’s a good sign for anyone investing in the software, though I would still probably wait and make sure it works with your most frequently used formats before committing to a workflow based on Videux. 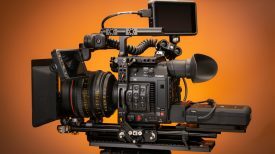 Your mileage may vary however, and if you’re using cameras like the Sony a7 series or DSLRs that shoot in formats that Videux definitely supports, it could make a lot of sense for you. If you’re interested, there’s a free trial to download from the Videux website, or you can purchase the program on the Mac App Store. There’s also a player-only option if you just want to be able to review files in slightly fancier player than the stock Quicktime player in MacOS.